UK Community Foundations will lead a programme called ‘TribeWomen’ with all 46 Community Foundations across the UK to fund projects which will help women and girls have the best future possible. TribeWomen will focus on three core areas of funding: building skills and confidence, improving health and wellbeing, and building social networks. Further specific priorities will be determined by each Community Foundation depending on local needs. The projects will be responding to need, helping women and girls get into or back into work, raising awareness about health issues and will create and develop peer networks. A key focus will be funding preventative work to reduce the risk of crisis at different life stages. Community Foundations will work with local charities and groups in their area, building capacity in the sector to deliver meaningful projects through the fund. Examples of the types of organisations that will be funded include the Young Women’s Project, which encourages young women to make the transition back into education, employment or training. It’s aimed at vulnerable women between the ages of 12 and 21 who experience various difficulties including low confidence, mental health issues, homelessness and teenage pregnancy. Another is a project that delivers structured training in construction. This is aimed at women with little or no experience in the industry who face additional barriers such as caring responsibilities or financial disadvantage. 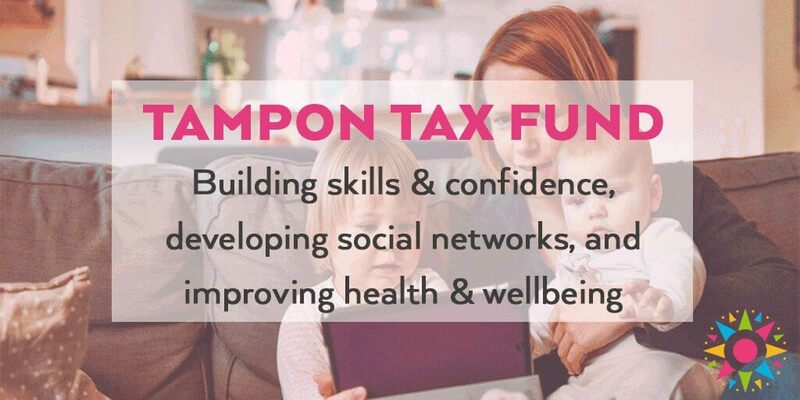 Shona Blakeley, Development Manager at Women’s Fund for Scotland who are working with UK Community Foundations, added: ‘Since receiving the Tampon Tax funding in 2016, we have been able to make a difference to the lives of 18,000 women in Scotland. The new funding we will have a much wider reach than those it seeks to support, and will also have a positive effect on families and the wider community.